Earlier, the fire service said rescuers did not expect to find any more survivors in the smouldering ruins of Grenfell Tower, in north Kensington. Sniffer dogs are to be sent in to search for evidence and identification of people still inside. The Queen has said her "thoughts and prayers" are with families. People have been desperately seeking news of missing family and friends. More than 30 people remain in hospital - 17 of whom are in a critical condition. Prime Minister Theresa May, who made a brief private visit to the scene, has promised a full investigation, as questions are asked about the speed at which the fire spread. Later, Labour Leader Jeremy Corbyn told community leaders "the truth has to come out" on a separate visit to the site. Many were woken by neighbours, or shouts from below, and fled the building. Fire crews rescued 65 adults and children, but some stayed in their homes, trapped by smoke and flames. 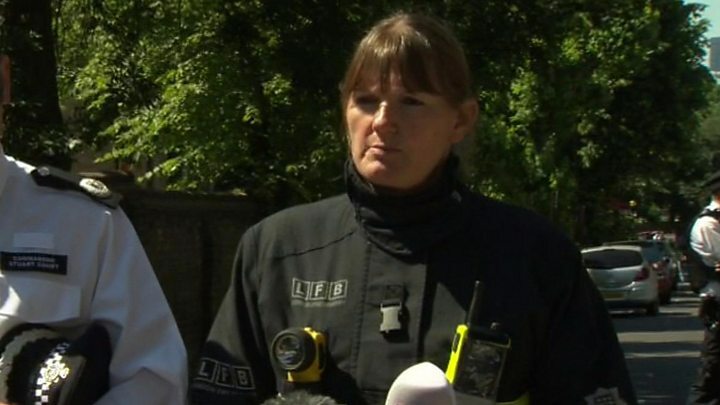 On Thursday morning, London Fire Commissioner Dany Cotton said her crews had identified a "number of people, but we know there will be more". The size of the building means it could take weeks, she added. Asked how many were still missing, Met Police Commander Stuart Cundy said it would be "wrong and incredibly distressing" to give a number. "I know one person was reported 46 times to the casualty bureau," he said. A brief search of all floors in the tower had been carried out, but the severity of the fire and amount of debris meant a thorough search would be "difficult and painstaking", Commander Cotton said. Temporary structures will be built inside the block in order to shore it up before more thorough work can begin. Throughout the morning, only smoke was seen coming from the charred building, but by Thursday lunchtime flames flared up again on one of the lower floors. Dozens of people left homeless spent the night in makeshift rescue centres, as well-wishers signed a wall of condolence near the site. London-born singer Adele and her husband visited the scene on Wednesday evening, and was seen comforting people. Singer Rita Ora also pitched in, helping to sort donations outside the tower. Photographs and messages in English and Arabic have been left for loved ones. The local authority - Kensington and Chelsea council - said 44 households had been placed in emergency accommodation so far. Through the night, people donated food, clothes and blankets for those left without homes. By early morning some volunteers said they were overwhelmed with donations and were turning people and vans away. One volunteer, Bhupinder Singh, said: "It is times like this that the best of our community comes out. This is where you find out how good it is to be a Londoner." Questions have been raised about why the fire appeared to spread so quickly and engulf the entire building. BBC Newsnight's Chris Cook says the type of cladding on the outside of Grenfell Tower, installed in 2015 during a refurbishment, had a polyethylene - or plastic - core, instead of a more fireproof alternative with a mineral core. Similar cladding was used in high-rise buildings hit by fires in France, the UAE and Australia, he said. Construction firm Rydon, which carried out the refurbishment, initially said in a statement that the work met "all fire regulations" - the wording was omitted in a later statement. Fire risk assessment in tower blocks was "less rigorous" since responsibility for it shifted from the fire brigade to the owner, Sian Berry, housing committee chairwoman of the London Assembly, said. Concerns have also been raised about fire alarms not going off and the lack of sprinklers. It is still possible to build tall buildings without sprinklers, said Russ Timpson of the Tall Buildings Fire Safety Network, but he expected regulations might change soon. Overseas colleagues are "staggered" when they hear tall buildings are built in the UK with a single staircase, he added. Roy Wilsher, chair of the National Fire Chiefs Council, said that if the fire spread up the outside of the tower, sprinklers might not have made a difference. Design and regulations for such tower blocks mean fire should be contained in a single flat, he said. "Clearly something's gone wrong in this case." Meanwhile, appeals are being made on social media for news of friends and family who are still unaccounted for. Among them are 12-year-old Jessica Urbano Ramirez and 66-year-old grandfather Tony Disson, from the 22nd floor. Security guard Mo Tuccu, who was visiting friends in the tower to break the Ramadan fast, is also missing. One family from the 17th floor has five people missing. Husna Begum and four other family members were last heard from two hours after the fire started. Labour MP David Lammy is appealing for information about his friend, Khadija Saye, and her mother, Mary Mendy. Read more about the missing here. Stories continue to emerge from survivors and eyewitnesses. One man, who lives in the neighbourhood, said he saw people banging at the window and children screaming. He said he knew one family with five children under the age of 10 who were all missing. "There are so many children that are unaccounted for. 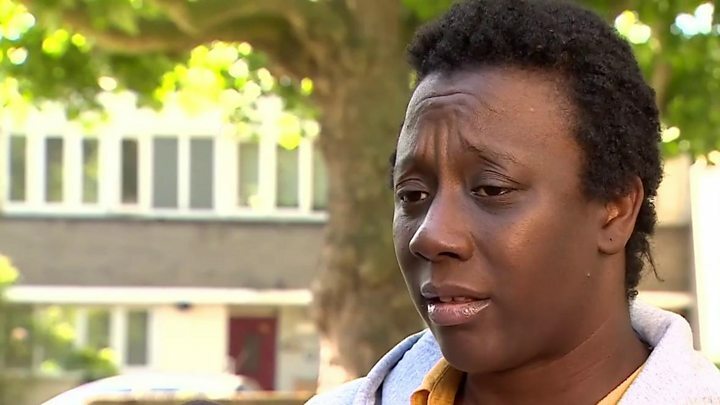 My daughter's best friend has gone," he told BBC's Victoria Derbyshire. 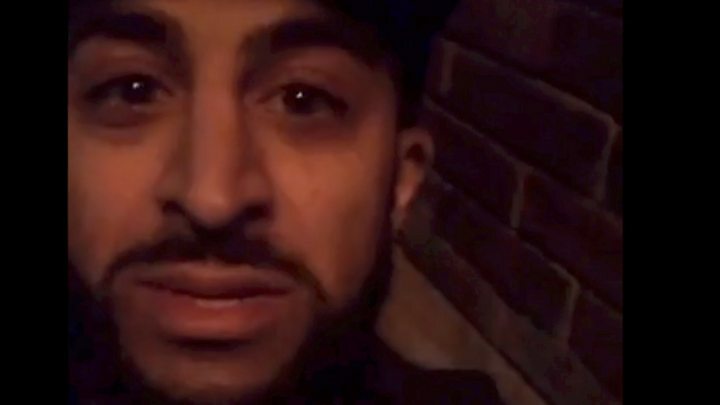 Media captionHumraz Khan and his friends filmed as the fire took hold. This is how their night unfolded. Michael Paramasivan, who lived on the seventh floor with his girlfriend and young daughter, was among many who defied official advice to stay put, and ran with their families down dark, smoke-filled corridors to get out of the building. "If we had stayed in that flat, we would've perished," he said. People in the street below described watching as a baby was thrown from a window, people jumped and climbed down the side of the burning tower using ropes made from bed sheets. Jody Martin said: "I was yelling at everyone to get down and they were saying 'We can't leave our apartments, the smoke is too bad on the corridors'." 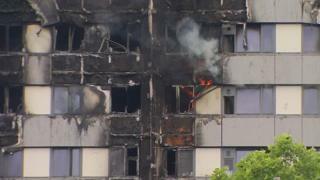 Video London fire: Can tower blocks be fire safe?